ScoreKeep is something almost every youthworker who plays games on their computer. ScoreKeep is a visual scoreboard that projects onto your screen. I’ve tried it out, and it’s super easy to use. The first thing you do is setup your team names. You are limited to just two teams but for most games I think that’s enough. You can also setup how points are awarded for each “+” you award. It also has a timer built in that you can set to go up or down. After setting up how you want your score to work, you can pick your theme. Five are included and they all look nice and are diverse to apply to many different gaming situations. The included themes are 1. Chalkboard theme that looks like is sounds, hand written chalk on a blackboard, 2. LED that looks like an 80’s digital watch, 3. Marquee that has a movie theater feel, 4. Modern has a clean slick look, and 5. Wallpaper has an artsy look that put the scores in picture frames. Additional themes are available for purchase in the app. Now you’re ready to play. The actual play screen is really easy to use. There’s are buttons to add or subtract points to each team. The teams can even go into negative territory if you need it to. You can also start and stop the countdown and show the winner. The actual scoreboard is projected onto your screen so your audience only sees scoreboard so they can cheer for their team. I just love this app, and I think you will too. It’s another great resource from DigitalStache.com. 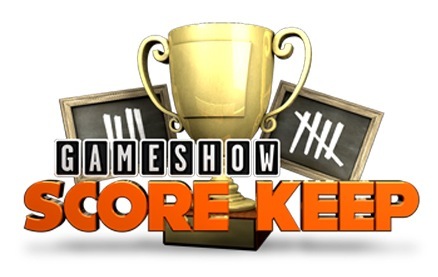 All Gameshows are standalone cross platform (Mac and PC) AIR applications. Adobe AIR is included in the installation. System requirements can be found on Adobe’s site. You choose a theme, name your game and your teams, set a timer (optional), set your point value and whether high or low score wins. Control the game on one screen and play with the crowd on another. Works with any second display (TV, projector, monitor). Requires second display up to 720p resolution for fullscreen output. Automatically adjusts to any screen ratio and resolution. It just works! We don’t want to hold you back with one boring background so we’ve created custom themes to enhance your competitive experience. Just choose the theme that best compliments your game and let the competition begin! Share your game ideas and files with your friends. Edit your game ahead of time during the week. Be sure to check out our Community Exchange to share your ideas and files with others. Jump over to SimplyYouthMinistry.com to pick it up or download the trial.